More than a year ago now, a large not-quite-a-storm hit my homeland. I was still living there at the time, so I know the effect that it had on a lot of people. However, one of the things that bloomed out of the flood waters was something that not a lot of people had expected. Over Twitter and Facebook came an outpour (pardon the pun) of help and rescue efforts. Social media stirred the nation and really utilized the different networks to help everyone. 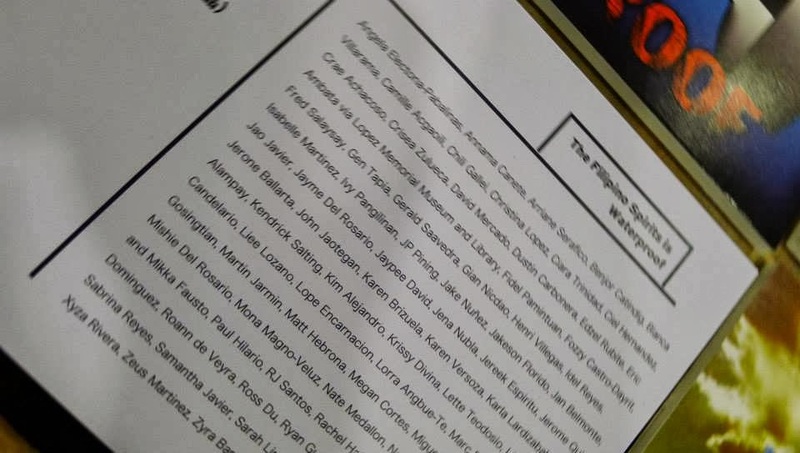 My bosses at the time, Ros Juan and Tonyo Cruz were major pillars for #RescuePH, the team that would then form a major method of locating and sending help to people during crisis such as the habagat. But that wasn't the only movement that formed as a result of the rains. There was also the creation of motivational artwork. 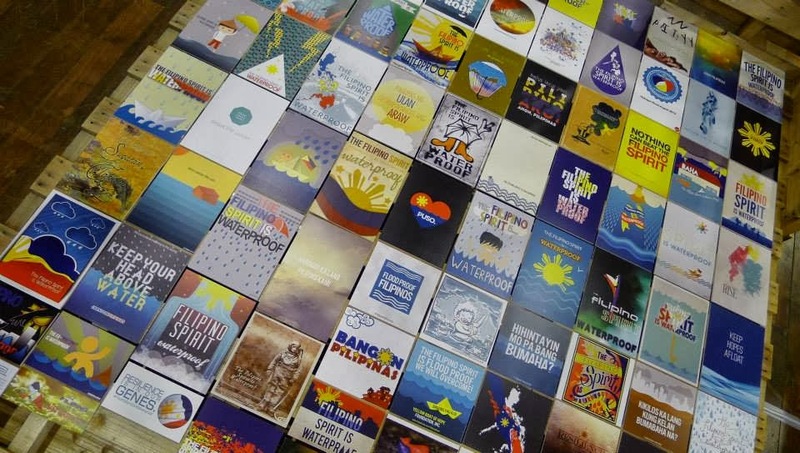 The Ayala Museum had asked artists to contribute motivational pieces of art for everyone in the country, following the theme "The Filipino Spirit is Waterproof." This was unprecedented since there was no reward whatsoever for creating these pieces apart from the major goal of uniting and uplifting the spirits of everyone affected by the heavy, traumatic rains and floods. 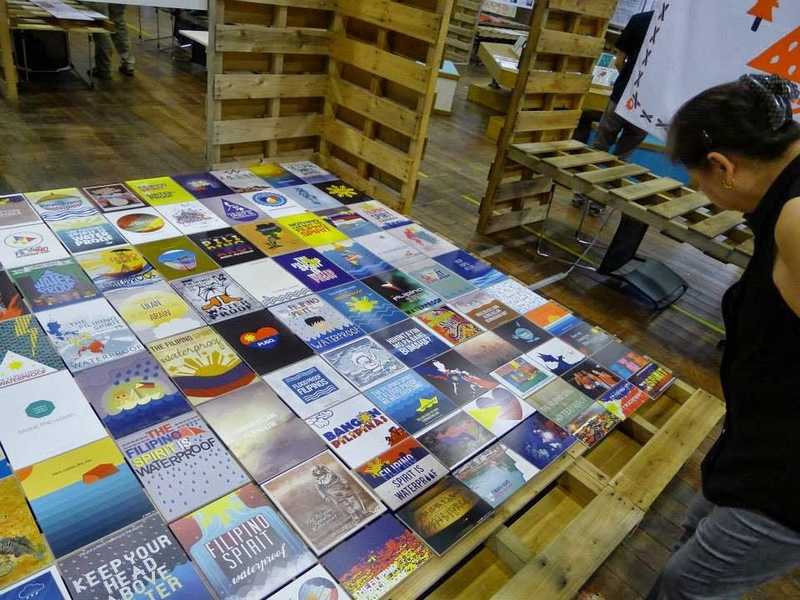 As a result, hundreds of artworks made their way into the Tumblr account set up by the museum and the Filipino Spirit shone mighty like a tsunami of hope and strength! I, myself, had submitted a couple of pieces for the effort. I felt that this was the best way for me to utilize my talents during the crisis (days after I made these pieces, I donated a ton of clothing and some toiletries too). 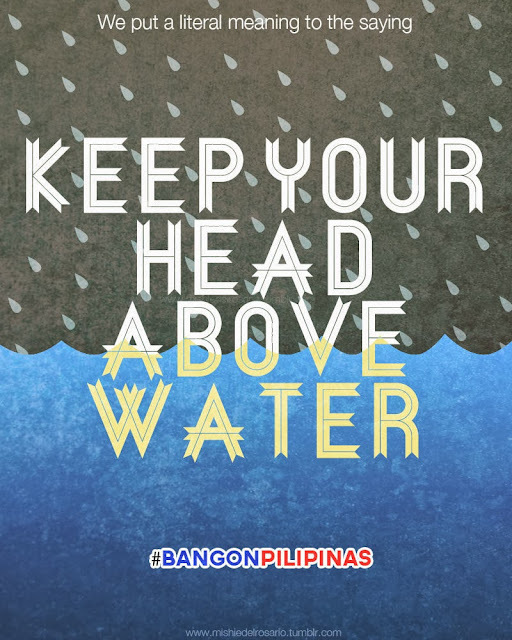 The reason why I say that these (#RescuePH and The Filipino Spirit is Waterproof) are surprising results of the habagat is because both projects have been acknowledge in the best utilization of Social Media during a national crisis. #RescuePH has become recognized in conventions like Social Media for Social Good, while The Filipino Spirit is Waterproof graphic design campaign was recognized nationally in newspapers and several credible news sources. 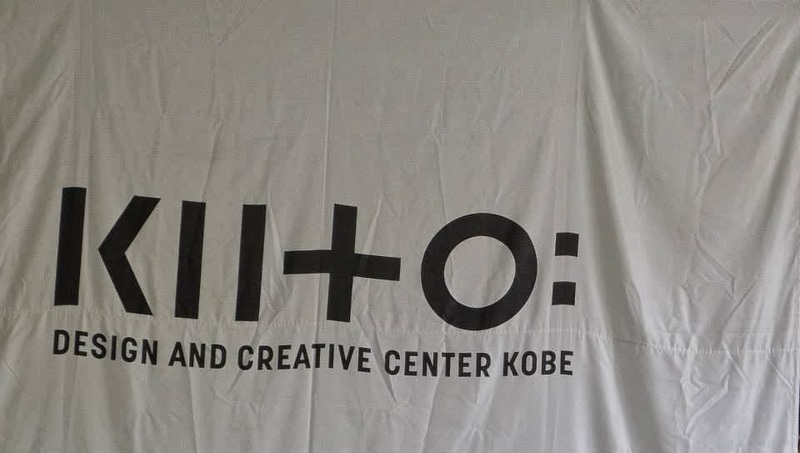 And recently, the Design and Creative Center (KIITO) in Kobe, Japan recognized and included this project in their Earth Manual Project, an exhibition that featured many creative projects for different efforts for disaster mitigation, relief and response. 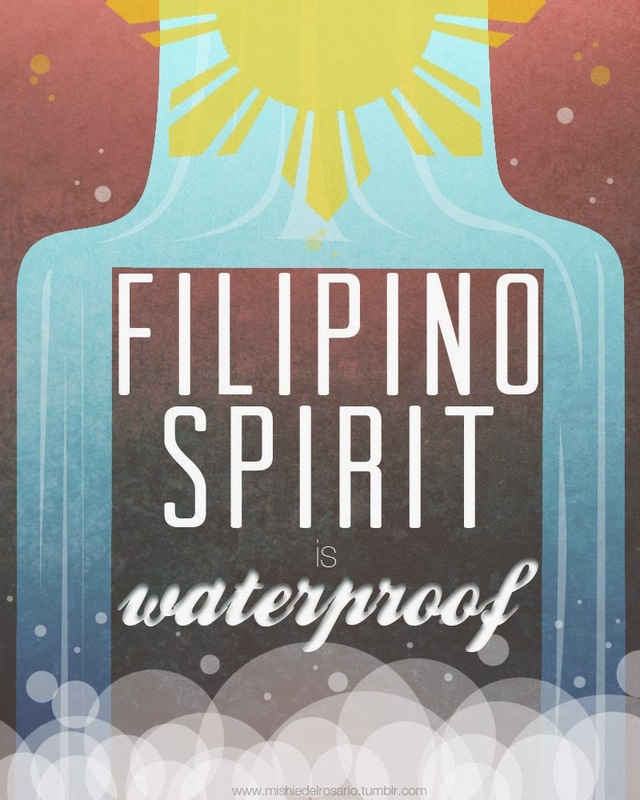 The pieces contributed for the showcase of The Filipino Spirit is Waterproof project! It was so wonderful to see the unintentional cohesiveness of all the designs that made it to the exhibit! It makes me feel very patriotic and sentimental! Check out my two pieces side-by-side near the bottom left of the page! Trivia: I came up with the "Keep Your Head Above Water" piece before my own version of "Filipino Spirit is Waterproof." But if you look at the entire collection of pieces, they all have a similar aesthetic, which I love seeing! I had already forgotten about creating those pieces of mine. So I was very surprised and thrilled to be contacted by the Ayala Museum. And until now, I can't believe that I can say, "My work has been exhibited in Japan." Goodness gracious! Photos are by and belong to The Ayala Museum. Check out their website and Facebook page for more of the exciting work that they've been doing! Seriously, I have so much fun when I go there--and it's not even for school! They have a lot of amazing exhibits all the time!